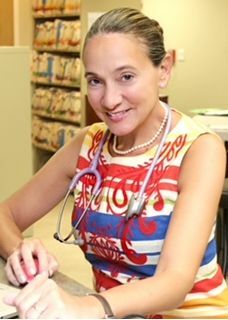 Dr. Eve Meltzer-Krief MD, FAAP is a pediatrician in Huntington and member of the NYS AAP Chapter 2 Legislative Committee and Suffolk Pediatric Society. She is the founder of the organization called Long Island Inclusive Communities Against Hate. Currently, when immigrants who are in this country legally are seeking permanent residency, they can be denied this status and labeled as a “public charge” if more than half of their income is determined to be derived from government funded cash assistance. The Trump administration is seeking to dramatically change these guidelines wherein someone would be deemed a public charge and denied permanent residence or legal entry into the country if they OR their dependents who may be US citizens are receiving any amount of government funded benefit via Medicaid, Children’s Health Insurance Program (CHIP), and subsidized health insurance through ACA Medicaid expansion. In addition to cash subsidies, they would be considered public charges if they or their dependents receive non-cash subsidies including nutritional help from Supplemental Nutrition Assistance Program (SNAP) and Women, Infants and Children (WIC). This change would have far reaching negative effects on the health and well-being of children and is of concern to pediatricians across the country. It is estimated that 10.4 million citizen children with at least one non-citizen parent would be affected.It would result in lower rates of healthcare coverage and would reduce enrollment in other essential benefits affecting health including SNAP and WIC with more than one million people becoming food insecure. It would lead to poorer health among immigrants and their dependents, reduced prenatal care and increased infant mortality as well as much lower rates of routine well care and immunization rates. This will all lead to higher health center and hospital costs for uncompensated care. This change in who is considered a public charge will basically force parents to face deportation unless they give up the healthcare needs of their children. It will adversely affect the health of millions of people, particularly U.S. citizen children. If this change in policy is proposed we ask that our leaders in Congress speak out against it because of the devastating effects it would have on healthcare in our country.